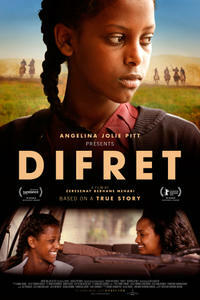 Parents need to know that Difret is a powerful Ethiopian film (executive produced by Angelina Jolie) that shows how some longstanding traditions lead to the subjugation of women and girls. It's based on the true story of a 14-year-old girl who is abducted by a gang of men and assaulted/raped by one of them, then manages to fight back and shoot her primary assailant with his own gun. She ends up accused of murder and sentenced to death until a tenacious female lawyer comes to her aid and challenges their country's customs. Not much of the horrible crime is shown on screen, though it's discussed often throughout the film. The movie is in Amharic with English subtitles, which occasionally include profanity ("s--t"). One scene of drinking in a bar.